Ninja Fortress :: View topic - Got my CE copy, Joe costume was epic cool! Got my CE copy, Joe costume was epic cool! the who fights and survives must carry on the legacy. I got 3 issues with it. The pants are a bit baggy, and doesnt fit the upper body that much. The upper body is unfortnetly not "clothing", seems like a very light "armor" of some sort which I dont like, doesnt seem to fit with the lpants because its not the same thing used. I do not like the "shoulder" pads that are attached to his arms with just a red string, looks bad. Couldn't they just give him 2 pair of red scarfs wrapped around his biceps, that way it looks much better. Anyways, considering we barely get clothing outfits and NG2s sucked, this looks very good IMO, definitely, not what I was expecting on the upper body but its cool looking for sure. PS. No these isnt Vueguy's images. It looked better on artworks. Those pads are retarded. Looks exactly the same to me. The artworks always look exagerated and more detailed than in-game, thats why they fooled me with the ones from NG2. The lower body around the legs looks cool on the artwork, hopfully the same can be said in-game. It seems they changed the arm pads as well, there is no silver things next to the hand. I wish the upper body was clothing instead like Ryuken or the purple outfit in NG1 beginning, and those shoulder pads was with sleeves instead. Ah well, TN isnt mindreaders, besides, it didn't turn out crap like Shadow Walker. @ Take not sure but it looks the same to me. But then maybe its me. there is the silver thing on the hand, but smaller than in the artwork. Ah good, I dont like those. God those pads are distracting me, makes me hate the design, then the upper body being armor like that doesnt fit with the baggy ninja pants. Its cool overal though. I hope more outfits comes in through DLCs. They don't appear to have names under the costumes either. They have changed C select a bit on this. 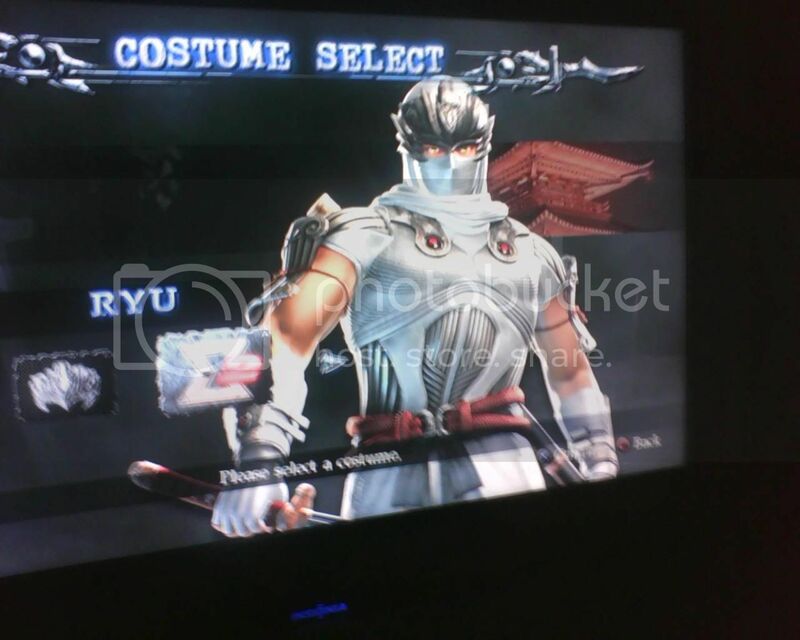 Edit: I will only one dlc costumes if they look as cool as the new ones. No point otherwise. Nope, no names, not even in the demo. I would get any DLC that I will know will definitely be worth my while. I am not gonna pull the same crap stunt I did with NG2. lol Does that mean you did the same as me? Bought them all! I admit I was foolish enough to do this. Thats why I keep saying that artworks wont fool me again. But I can see myself using this outfit. The artwork is defo not the same for Sonia. I think they show us the sketches to fool us. The damn store hasn't updated yet. 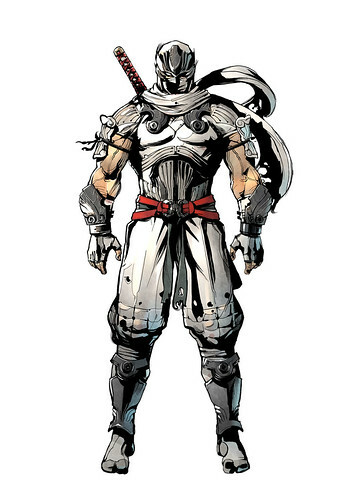 Ryu looks like a saracen to me.